Home Politics The West African Countries Common Travel Document the ECOWAS Passport. The Economic Community of West African States in 2000 met to discuss ways of facilitating regional movement with the view of removing the various barriers impeding smooth movement within the region. The deadline of 30th May 2005 was set aside for all the 18 members of the ECOWAS to commence the issuing of the ECOWAS passport, a common travel document that was proposed to ease movement and foster regional integration within the West African Countries. However, as of the date set aside for the issuance of the passport, only four countries of the ECOWAS members met all requirements and started issuing the passports to their citizens. These countries were Guinea, Benin, Mali and Senegal. As highlighted earlier, the ECOWAS Passport is a common travelling document for all the citizens of the West African countries. However, it is worthy to note that till date some African countries have note enforce the use of the passport. The design for the ECOWAS passport was accepted by all the members’ states and was also validated as a recognized international travelling document. 1. 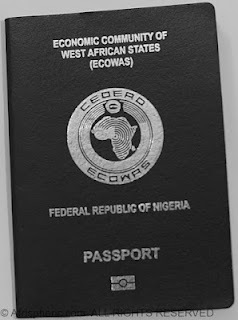 The Ordinary ECOWAS passport: This type is meant to be issued to the nationals of West African Countries who wishes to embark on travels, business trips or vacations. 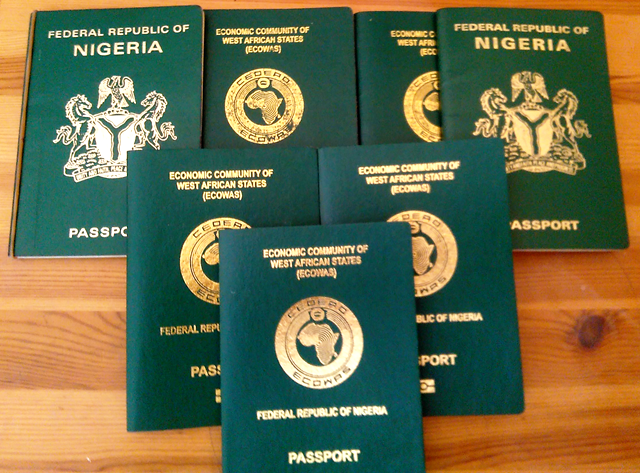 The Ordinary ECOWAS passport contains 24 or 32 pages respectively depending the number of booklets you want. 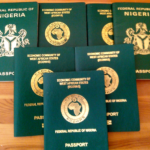 The valid duration for the ordinary passport is five years. 2. The Service ECOWAS passport: This type is only given to the government officials or any entity to the government of any West African Country who carries out official trips and business on behave of the government. 3. The ECOWAS Diplomatic passport: This type is used by consuls or diplomats on diplomatic related trips and travels. Color: The colour for the ordinary type is Green; the Service ECOWAS passport is blue while the Diplomatic type is burgundy in colour. Security Features: Fingers and Facial Biometrics. Number of pages: 24 & 32 pages respectively. Words: “ECONOMIC COMMUNITY OF WEST AFRICAN STATES (ECOWAS)” is inscribed on the front cover with translation in French as “COMMUNAUTE ECONOMIQUE DES ETATS DE L’AFRIQUE DE L’OUEST (CEDEAO)”. The above engraved words are done accordingly for Anglophone and Francophone West African Countries. Emblem: The ECOWAS emblem is inscribed on the front cover. Note: At the lower part of the front cover of the ordinary ECOWAS passport is inscribed with “PASSPORT”. While for the French it is inscribed with “PASSEPORT”. However, the service and diplomatic ones has the inscription “SERVICE PASSPORT” & “DIPLOMATIC PASSPORT” and translated in French as PASSEPORT DE SERVICE & PASSEPORT DIPLOMATIQUE respectively. The front page of the ECOWAS Passport is the identification page. The information on th identification page is captured in English for Anglophone West African Countries and in French for the Francophone West African countries respectively. The following vital information is contained in the identification page. 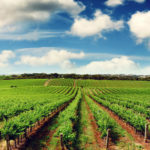 Next articleWest Africa Farming Systems and its Natural Resources Utilization.